The human ear is sensitive to sound waves with frequencies in the range from a few hertz to almost 20 kHz. 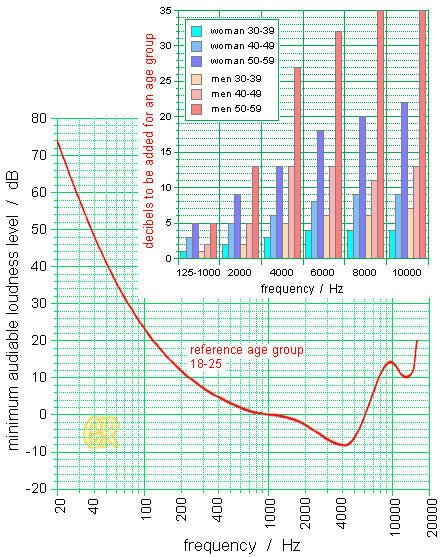 The intensity of a sound is measured in terms of sound pressure level, an acoustic scale independent of frequency, expressed in decibels (dB), where 0 dB (the threshold of hearing) corresponds to sound pressure level of 20 µPa, the minimum detectable 1000 Hz sound pressure level by average human ear. The subjective auditory response is frequency dependent and it is measured in terms of loudness level of a sound, for which two units of measurement are used: phon and sone. Phon is defined as loudness of 1000 Hz sound at the sound pressure level of 20 µPa. 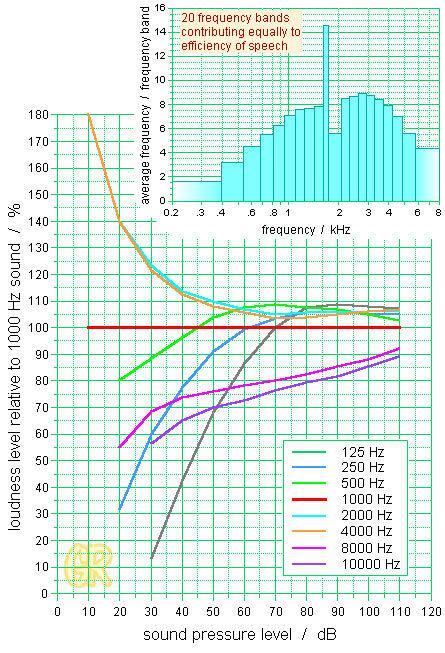 Loudness level of a sound, expressed in phons, is numerically equal to the sound pressure level, expressed in decibels, of the 1000 Hz sound judged by listeners to be equivalent in loudness. The threshold of hearing is also frequency dependent and an acoustic scale which relates loudness to a threshold of a particular listener is expressed in sones; sone is defined as loudness of 1000 Hz sound, 40 dB above a listener’s threshold. Loudness level of a sound, expressed in sones, measures a loudness level above threshold for a particular listener; for that reason, the threshold (measured or assumed) should be always specified.